PADnet is a 15-20 minute screening test of segmental blood pressures in your arms and legs, called the ABI, or ankle brachial index. 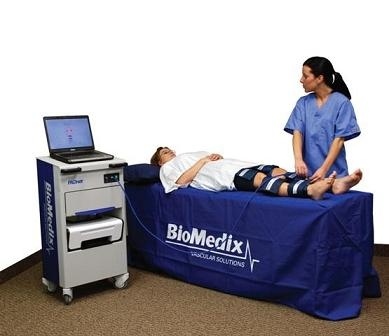 It also measures blood volume in the legs using pressure cuffs (Pulse Volume Recordings or PVR’s) and blood pressures in the toe (toe brachial index or TBI). The results provide us with a clear, measurable sign of what is happening in a patient’s lower extremity arterial system. Testing is done in our office by a qualified Registered Vascular Technologist and interpreted by a vascular physician.